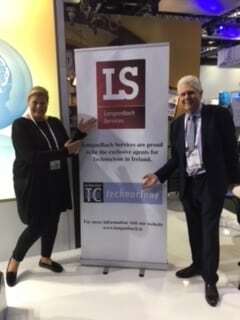 At the ISTH SCC 2018 conference held in the Conference Centre in Dublin, Technoclone and LanganBach Services launched the TECHNOSCREEN® ADAMTS-13 Activity. A semiquantitative flow through assay it is intended as a screening tool for estimating ADAMTS-13 activity. Patient plasma is incubated with a vWF fragment. ADAMTS-13 specific cleavage of the vWF is then detected with a cleavage site specific antibody by the amount of color development. The amount of cleavage directly correlates to the ADAMTS-13 activity level in the plasma sample.